Law at the End of the Day: Jean Mittelstaedt Reflections on Zhou Ruijin, "Reflections on the Cultural Revolution: A Ten Thousand Character Petition"
Jean Mittelstaedt Reflections on Zhou Ruijin, "Reflections on the Cultural Revolution: A Ten Thousand Character Petition"
This year marks the 50th anniversary of the Great Proletarian Cultural Revolution in China. That episode remains sensitive in China, and like other great transformative events in human history, continues to reverberate in countless ways. It's cultural artifacts have acquired a global dimension--from Mao Zedong's Little Red Book (毛主席语录), to the mythologies of the Red Guards as an archetypal force that saw its pattern repeated across the globe (e.g. here, here, here). Recently Gao Dawei on his blog 高大伟 在美国华盛顿人的博客 published a remarkable essay on the Cultural Revolution first anonymously and then under the author's name, Zhou Ruijin (English) (中国语文) (Text of the article copied from the China Elections and Governance website ). That essay, Reflections on the Cultural Revolution: A Ten Thousand Character Petition (皇甫欣平：文革反思万言书) By Huangfuxinping [Zhou Ruijin 周瑞金 ], harks back to an ancient Chinese practice of presenting such 10,000 character petitions "sometimes at great personal risk, to criticize current policies and suggest a change in thinking." . at . According to that website, the article was published under the pseudonym in China but was removed from many sites shortly after appearing. The essay includes much to think about, not just in the Chinese context, but in any context in which one party, or elite group, has developed a structural basis for its leadership of the state and its governmental apparatus. That applies as much in Marxist Leninist states (to which the essay is directed) as it does in theocratic states (the clerical elite) and Western states (the socio-economic-political elites). To that end, Flora Sapio, Jean Mittelstadt and I thought it might be worthwhile to add very brief reflections on this essay. Reflections on Zhou Ruijin, "Reflections on the Cultural Revolution: A Ten Thousand Character Petition"
Building on Flora’s post, I want to highlight a second issue that is intricately linked to the “rigid and opposed categories”: unities. When Zhou criticises the lack of democracy, rule of law and unconstrained power during the Cultural Revolution (CR), he hides behind the unity these concepts presuppose. 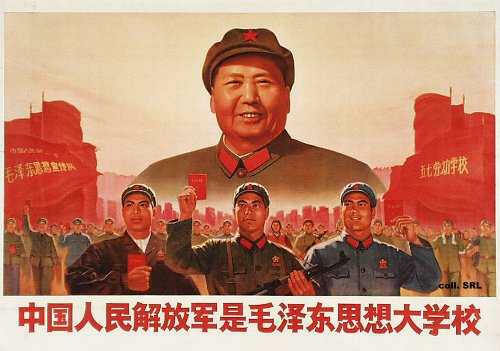 Zhou asks: “But was the Cultural Revolution actually rejected in its entirety? To get at that question we must ask if society made a deep and thorough reflection upon the nature of the Cultural Revolution itself.” Here, Zhou introduces a clear break between the CR and that, which followed it. This break makes it then possible to find the “nature” of the CR. Zhou suggests that we understand the reform period through the CR. Finding the nature of a thing (its “thingness”) means to assume its unity - this unity cannot be ongoing. There is no denying though, that the CR is still being felt. Given that it has not ended, does it have a starting point? Did it start in 1966, 1960, 1958, 1949, 1921, 1911, in Yan Fu’s writings on evolution, the First Opium War - or even earlier? Understanding history as a process guided by its own laws collapses the difference between start and end, leaving us with a sequence of events, dates, or facts. If one was now to argue that people construct these events, dates, and facts by telling stories, writing diaries, letters, articles or books (and through many other ways as archaeology or subaltern studies show), fragmentary or not, published or not, written in different times and places with changing intentions and audiences using different tools writing on different objects (e.g. cloth, walls, paper, bodies etc. ), thereby influencing the writing style, how much and what was written - the pieces that are then put together and collected (based on an assessment of what is considered worth collecting) in various places such as libraries, archives, museums, public or private collections (among many other places), where they are organised (or left unattended) in many different ways, omitting and adding according to different standards (that vary widely), displayed (where and how?) for audiences (whom?) - the argument of historical laws still holds (while we have now added sociological laws) - how is one to say that the laws of history and of society do not surpass the messiness of this reality? We are thus left with having systems of laws on the one side and the thinking, speaking, acting subject on the other. Hence, unities such as the “Cultural Revolution,” “the Party,” “the State,” “society,” the “rule of law” and so on derive their awe-inspiring force (what Taussig likened to fetishism) from assuming a god-like unity that is entirely detached from the messiness of translation, interpretation, contexts, relations, practice, the referent and the speaker. Going beyond the unities of society and the state, Frank Pieke argued in a 2004 article that social scientists studying China “must develop a new anthropology of the state” rooted in “the complex interaction between higher-level policies, existing institutional arrangements, and the informal relations between current and aspiring holders of posts at various bureaucratic levels,” looking both at institutional arrangement and the “discursive construction of the state” (Gupta 1995). Is this the way forward?